The kitchen is rightfully called the heart of the home. After all, we spend a lot of time preparing meals for ourselves and our loved ones in the kitchen. So, if you’re building a new home or undertaking a kitchen renovation, you should always keep quality and functionality in mind, while also keeping an eye on your budget. Here’s where Alpine Building Products comes into the picture. Based in Perth and available throughout Western Australia, their range of kitchen products offers the highest level of quality at an affordable price. If you’re looking for a quality kitchen with a budget price tag, then an Alpine kitchen is the only kitchen you should be looking at! Today, we’ll take a look at some reasons why you should consider investing in Alpine kitchens. Once you’ve read this article, you definitely won’t look for kitchen products elsewhere! For those of you looking to undertake a DIY kitchen renovation in Perth, there is simply no better choice than Alpine’s kitchen cabinets. That’s because they offer a full range of wall, base and pantry cabinets which come fully preassembled. That’s right! There’s no assembly required, and cabinets will be delivered to your home ready to be installed. And, you have an endless array of choices with Alpine kitchen cabinets. Their cabinets are available in a range of sizes, shapes, and configurations. All cabinets come in a modern design in a white high-gloss 2-pac finish and stylish chrome handles. All cabinet doors and drawers also include a soft closing mechanism. With Alpine’s range of preassembled kitchen cabinets, you can easily pair their cabinets together to create a uniform and seamless look in your space in the kitchen layout design of your choosing. Another reason for you to choose Alpine kitchens is that their kitchens offer superior quality. Unlike cheap flatpack kitchens offered by other kitchens manufacturers in Perth, Alpine kitchens are manufactured to the best of standards using high-quality HMR board. Their kitchens are highly moisture resistant and exceptionally durable. You can also trust that Alpine kitchens are built to last. That’s why Alpine offers a 5-year guarantee on their entire range of cabinets covering the materials and artistry at the time of manufacturing. Their kitchens offer exceptional value for money, and you won’t go wrong in choosing them. One of the biggest reasons to buy am Alpine kitchens is the cost – and who doesn’t love to save money? Alpine Building Products is known to offer the best quality kitchen cabinets at the most affordable prices. 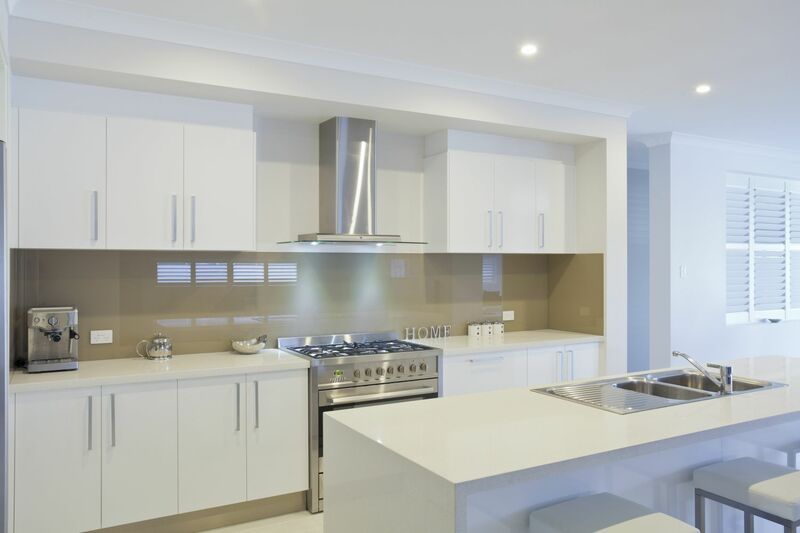 Instead of choosing custom kitchens from a local Perth kitchen company, choose an Alpine kitchen – it will literally save you thousands of dollars. Despite the affordable price tag, you can count on Alpine kitchens to offer the highest standards of quality. Alpine kitchens offer exceptional value for money that you can safely rely on. Lastly, Alpine kitchens do not require any installation, so you won’t have to bear any additional installation costs. And, given that their kitchens come preassembled, their cabinets are always in stock. There is no waiting time involved – you can purchase and get your Alpine kitchen delivered to you in no time at all. By purchasing Alpine kitchens in Perth, you can be done with your kitchen renovation in very little time. Their cabinets will be delivered to you preassembled in a box. Simply take out the cabinets from the box, place them where you need them to be, and you’ll be done! As simple as that! If you’re renovating your kitchen, you need to consider quality, functionality and your budget. Alpine kitchens are the perfect choice in this respect. They offer a full range of preassembled kitchen cabinets which come in a modern design. Their kitchens are designed to the best standards of quality, and they are also very affordable. Buying an Alpine kitchen means that your new kitchen will be complete in very little time and at a very little cost to you – it really is a great investment. With so many reasons to choose from, there’s simply no need to look elsewhere for kitchens in Perth. You’ll find exactly what you need with the range of kitchens offered by Alpine Building Products. Visit your nearest Alpine retailer to purchase our kitchens in Perth today!